Posted in: Atlanta, ATP, US Open Wild Card Playoffs, USTA, Wild Card Playoffs, Wildcard Playoffs. 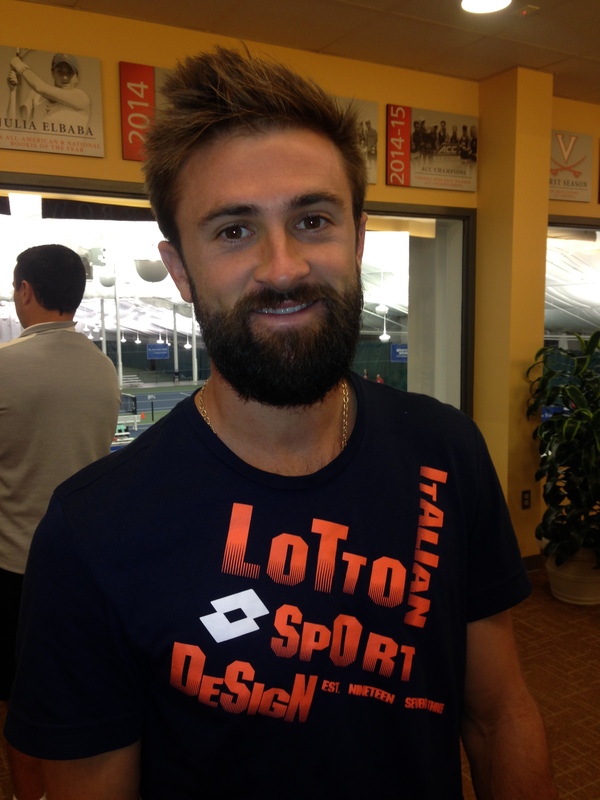 Tagged: atlanta, atp, australian open, Steve Johnson, tennys sandgren, usta, wild card playoffs. Steve Johnson needed the full 5 sets to topple Tennys Sandgren and book his ticket to ride for Melbourne, but he got things done in a topsy turvy battle of a final that ended up with a score of 4-6 6-3 0-6 7-6 6-1. 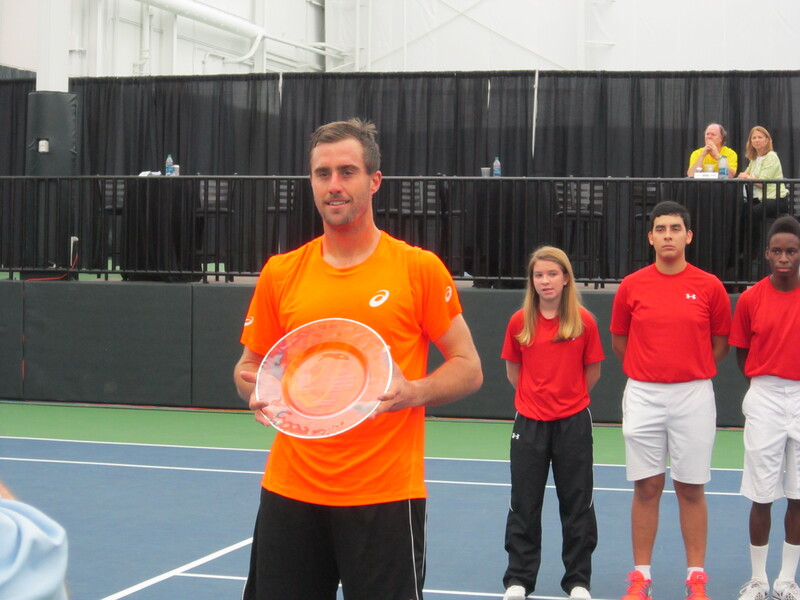 Your AOWC 2013 Champion Steve Johnson! The first 2 sets were defined by early breaks, Sandgren getting an early first set break, and Johnson getting an early second set break, both of which were mostly followed by consistent holds and a split result as both players generated early momentum by set. Johnson and Sandgren both relied on powerful serves and good quality forehands, while Johnson came to the net more and Sandgren, for the first 3 and a half sets of tennis, had superior mobility, with his speed allowing him to get to most of what Johnson was throwing at him. They both had a lot of lucky shots as well, some long deuce games, and were rattled by a seemingly equal amount of controversial/blown line calls that went against them at key moments in the match, something that changed the momentum of matches all weekend on the men’s side. Johnson let the third set go after going down 0-3 on the trot and Sandgren seemed to be fresher and making cleaner shots, as well as serving much better as Stevie J had a few double faults mixed in. Sandgren had called the trainer for his knee, something that seems to be a consistent pattern, after dropping the second set. Despite the bagel, he came back very strong and though they were neck and neck in the fourth set, as Johnson went back to matching Sandgren shot for shot, it seemed that Tennys still was in the drivers seat. In fact, late in the 4th, he had a match point that was erased. He had many chances to close out the match, including in the 4th set tiebreak, but he couldn’t seal the deal and Johnson slowly regained momentum. By the time the 5th was underway, Sandgren, after all the running, was out of gas and cramping a bit, allowing Johnson to cruise and tidy the match up. It’s also worth nothing Johnson was putting it all on the line out there. He suffered 3, if not more, falls/slips on court, including twisting his ankle after a nasty fall as he changed direction and reached for a ball. He needed a long medical timeout to get it wrapped at 4-3 in the 4th set. He played dangerously but it paid off. Sandgren also had quite a few splits and slips on court. 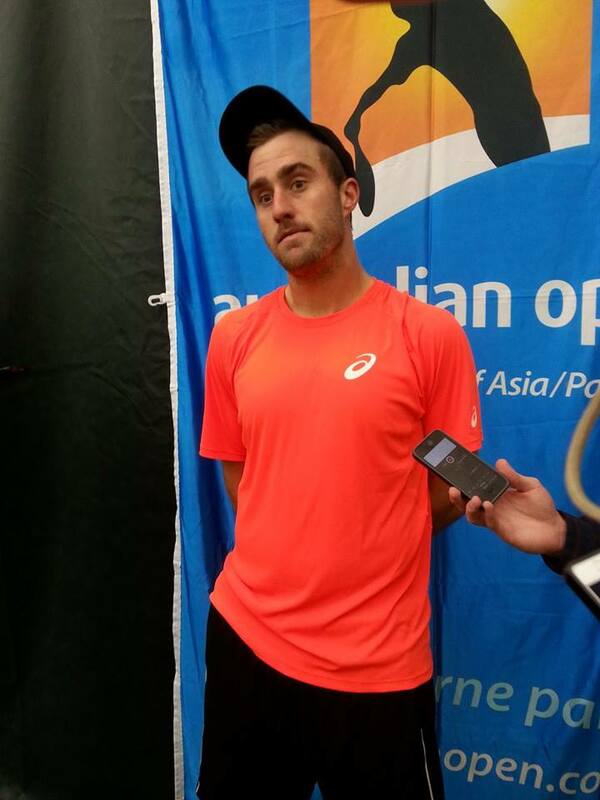 Steve Johnson struggled mightily in late 2013 but he ends the year on a high note by guaranteeing himself an AO main draw spot and a nice delayed payday. 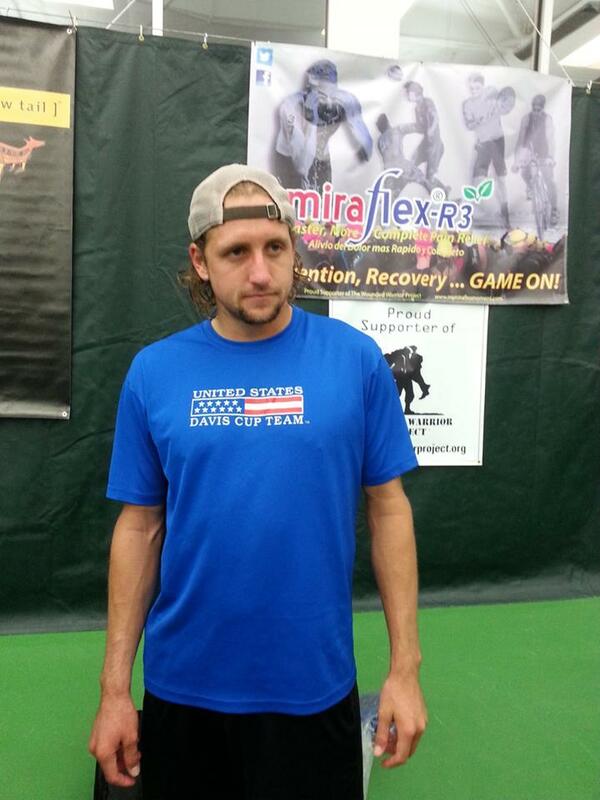 Tennys Sandgren will have to play Aussie Open qualies in a few weeks. They are both talented players who hit their high notes at certain times, but the best of 5 set format produced a very worthy winner in the end. Covering AOWC 13 was a pleasure as always! 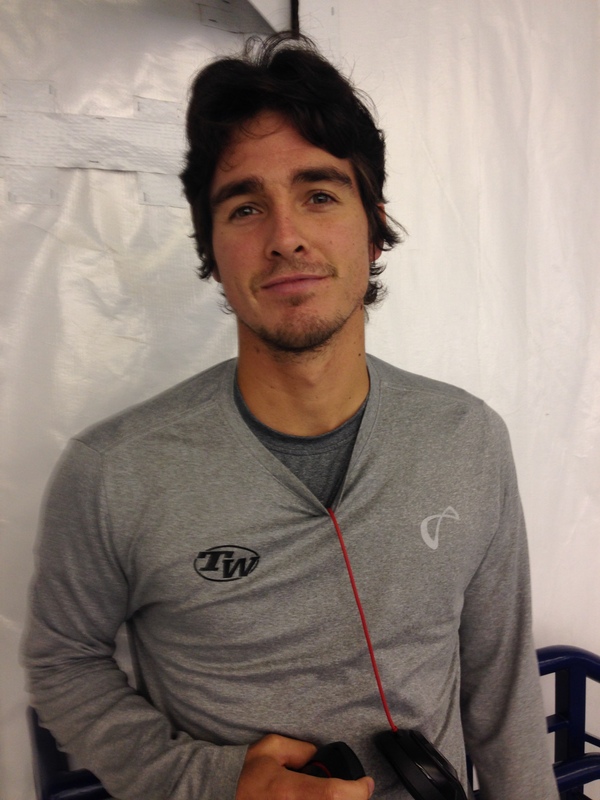 Posted in: Atlanta, ATP, Australian Open, USTA, Wild Card Playoffs, Wildcard Playoffs. 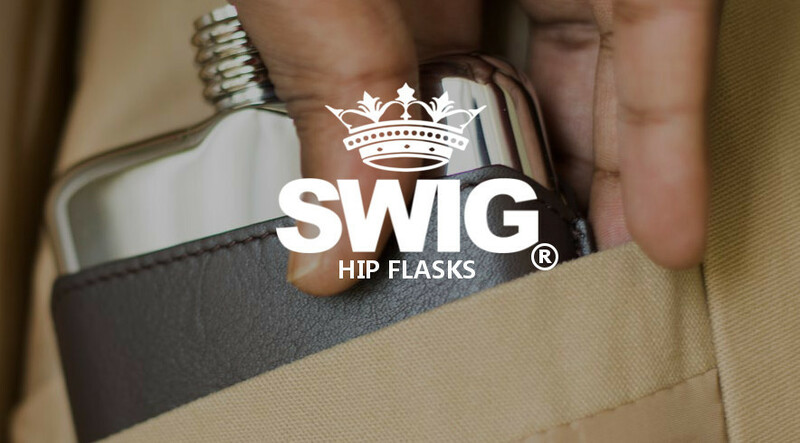 Tagged: atlanta, atp, australian open, Steve Johnson, tennys sandgren, usta, wild card playoffs. 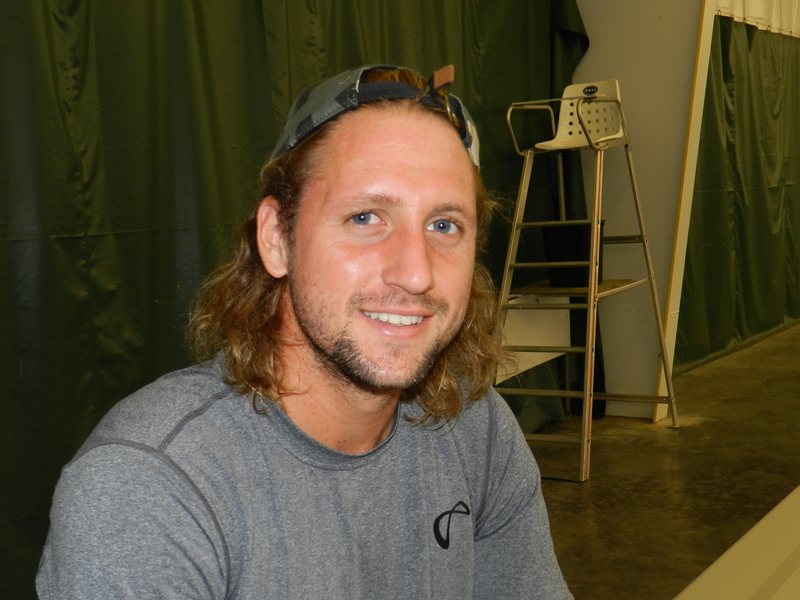 Tennys Sandgren beat Denis Kudla 6-3 7-6, in a match that lived up to its pre-match billing as a battle, meaning the former Tennessee Volunteer and freshly minted top 200 player has his spot in the Sunday final in Norcross. Sandgren was pushed back early as Kudla was getting a lot of depth on his shots and causing Tennys to have to return from a disadvantageous position at the back of court. He would turn it around though as Kudla could not maintain his style of deep hitting without spraying errors, and though they had long back and forth service games, Sandgren would be the more consistent one and take the first set 6-3. In the second, after Sandgren called the trainer for some work on his knee, Kudla would sprint out to a lead up 5-3 and serving to force a 3rd set at one point. Denis was connecting on his backhand better and cleaning up his errors, while also serving well, but he could not seal the deal as Sandgren kept calm, holding serve and breaking back to keep the match in the 2nd set. Both players would have chances to either finish the match or force a 3rd late in the 2nd set but it would end up in a tiebreak after some points that were multifacted battles with power, movement, forehands, backhands, slice and volleys. Sandgren came to the net more than Kudla as part of his gameplan and when he could get to the passing shot in time it worked in his favor. In the tiebreak, Sandgren and Kudla traded minibreaks back and forth in a condensed version of what the entire match had been up to that point, but eventually Sandgren would lock down his serve and after a controversial line call gave him an ace for a 6-5 tiebreak lead. 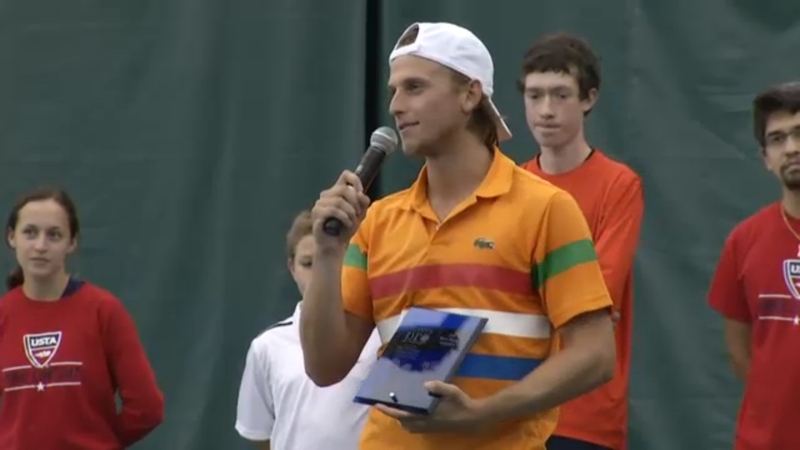 Kudla would exclaim “oh my god, USTA refs, worse than French refs” as part of a monologue in frustration. One point later Tennys would seal the deal after Kudla made yet another return error, an issue that kept spoiling his play all afternoon. 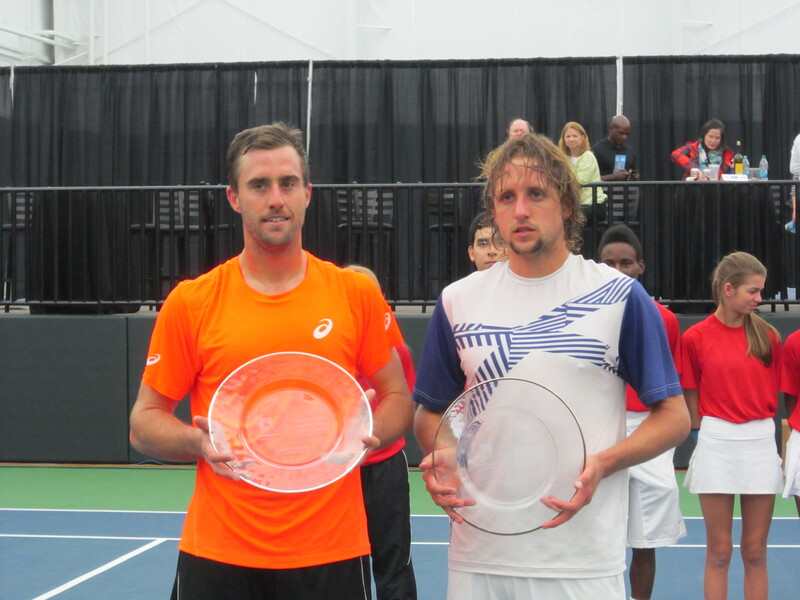 Steve Johnson will be Sandgren’s opponent in the final. He had a much easier time against Chase Buchanan, who seemed outgunned. Johnson won 6-0 6-4 after blitzing past a meek Buchanan in the first and dealing with any and all resistance he put up in the second set, holding his serve with consistency.